Some people think cooking is complicated and takes too much time, so resort to ready meals and takeaways. This book aims to break down those barriers and show those that think cooking is too challenging how easy it can be. With chapters including Breakfast & Brunch, Soups & Salads, Superfast Suppers and Easy Entertaining, it is packed full of simple yet stunning ideas. Including recipes such as Jewelled Freekeh, Salmon Farfalle, Meatball Pho, Asparaugs Bundles and Baby Cheesecakes, you will amazed how much information can be conveyed in so few words. 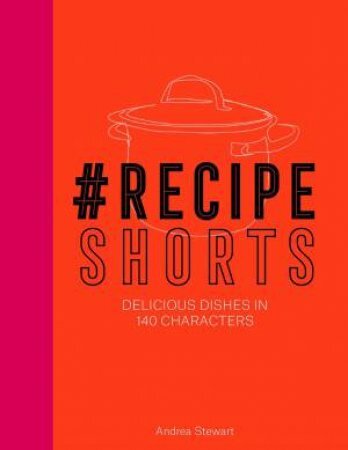 #RecipeShorts will attract a large audience, from university students and millenials to working parents, who are looking for good food in a flash.